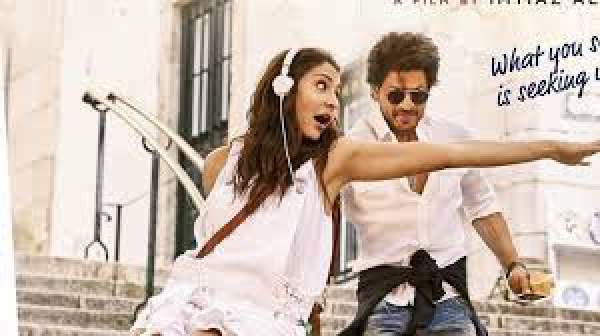 Jab Harry Met Sejal 2nd Day Collection 2 Days JHMS 1st Saturday Box Office Report: Shahrukh Khan and Anushka Sharma’s latest Bollywood movie got an average opening and less than what was expected. In India, it earned around Rs. 16 cr on its first day of release. The advance bookings are not so high and as a result, the film is suffering to collect more moolah. Following the same trend as of Friday, it started on an average note in the morning and fetched around 35% occupancy in the morning shows. The movie is going good, but it’s not as good as an SRK movie used to be. On its release, the movie got mixed reviews from both the critics and the audience. And it’s the third film of Imtiaz Ali in a row to have received mixed reactions from the public. His last venture was Tamasha and it had the same fate. But, it was with Ranbir Kapoor. This should have happened with SRK starrer. On the whole, JHMS second day collection seems to be on the same line. According to early estimates, Jab Harry Met Sejal box office collection for the 2nd day would be around Rs. 17 crores (domestic). If JHMS has to earn good money, then it will have to attract more audience on Saturday’s evening and night shows. And there should be high occupancy rates for Sunday. Else, it will be another average film of SRK. What are your predictions for Jab Harry Met Sejal collection? What do you think of such movies and SRK? Well, this may be subjective. Every Bollywood superstar has played a young teenage boy/girl at least in one of their superhit films. For example, Aamir Khan played a student in 3 Idiots. So, it is quite clear that script quality wins in the long race. SRK’s last movie Raees got affected due to the clash with Hrithik Roshan‘s Kaabil. So, Shahrukh took a good decision and release his latest venture a week before the release of Akshay Kumar starrer Toilet Ek Prem Katha. However, it seems that JHMS hasn’t got a strong word of mouth. Thus, it doesn’t matter much now. Stay tuned to TheReporterTimes for latest Bollywood updates.